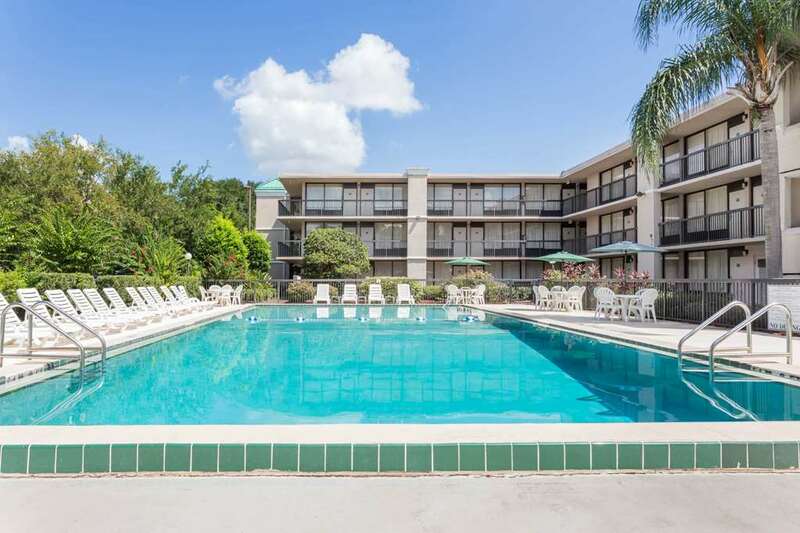 Conveniently located off Interstate 4, this Ramada Altamonte Springs hotel is in the center of the action near Maitland Center, Wet n Wild water park, Altamonte Mall, the Orange County Convention Center, Disney World Resort, Sea World, Kennedy Space Center, and many local restaurants. A great place to refresh after a day of adventures, this hotel offers complimentary wireless Internet access, complimentary continental breakfast, fitness room, outdoor pool, meeting room and business center. Guest room amenities include complimentary newspaper, coffee-maker, and TV. Suites, smoke-free and handicapped-accessible rooms are also available. There is no charge for children 17 and under. Truck and trailer parking available for a nominal fee.